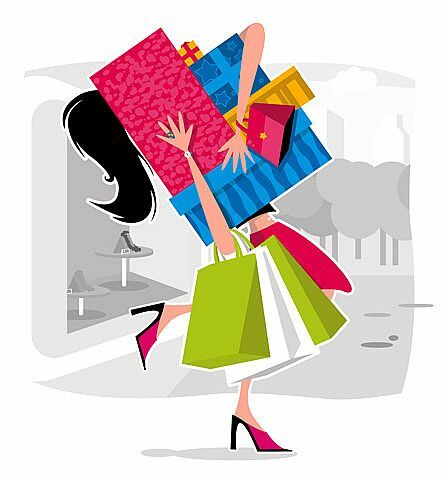 Most men cannot understand how women can shop for hours, days, weeks, and months looking for that perfect, particular something. I cannot comprehend this incomprehension. These are the same people that sit in a deer stand, on a boat deck, on the side of a bridge, on a river bank, on a beach, or in a tree, to catch a fish, deer, moose, duck, pheasant, wombat, or whatever, for hours and hours and hours. They will travel to strange and faraway destinations. They hire guides! They spend small fortunes on various and assorted equipment, specialized clothing, transportation, etc. Even the sports they follow require time, attention, specialized clothing, assorted equipment, transportation, and even special food… tailgating anyone? Guys, shopping IS hunting Chick Style. So, I must go put on my uniform and gather my hunting supplies. Stylish, but not too…, comfortable shoes ( I think the lower heeled suede boots for today), large (matching, of course) purse to carry notes from my online research, strategy map, color coordinated water bottle, lip gloss, and credit cards, flyers and ads from competing stores, and get in my SUV that has enough room to hold the prey that I’ve bagged. Today; the perfect sofa.